There are currently 9 users and 4201 guests online. 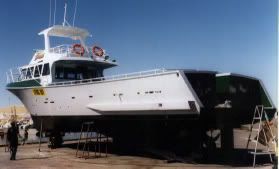 Fitzharding designed GBB (Geraldton Boat Builders) built 65 foot twin screw monohull fast lobster boat? 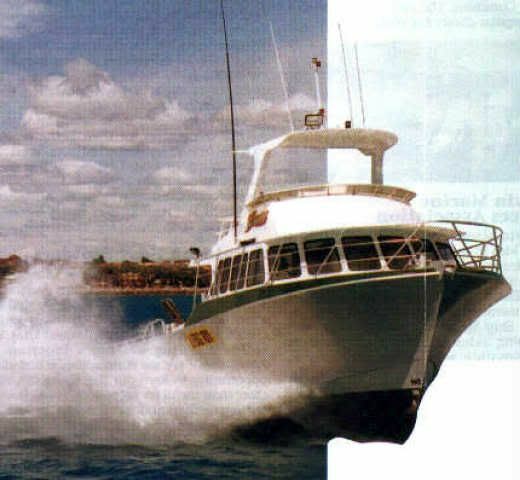 (This was a "Big Bank" Live-aboard design w/twin Fiat 750 turbo diesels 28knots WOT)! "Piscator, non solum piscator" - "A fisherman, not just a catcher of fish"
Looks a newer model the one in Streets photo, pretty close thou!